Lately, we introverts have been quietly self-satisfied with the growing visibility of our personality type in a world that often values extroversion – especially in the workplace. Extra-especially if that workplace happens to be in highly social marketing/agencyland. As part of a company comprised mostly of introverts, I thought I’d take a look into the reasons extroversion is not a requirement for community managers. One of the key skills of a good community manager is listening. We need to read into what community members are saying, think it over, and come back with a response that is in the right tone of voice and offers value – whether that’s a solution, humour, or just acknowledgement. In touchy situations this needs a good pinch of empathy. Introverts are especially talented at this – they may not be the loudest people in the room, but their conversations are very thoughtful and often go deep because they’ve listened to the other person and mulled over the topic internally before responding. Knowing when not to participate in a conversation is the introvert’s specialty, and it also happens to be very necessary when managing online communities. There are situations when responding to a heated comment only adds fuel to the fire, and others where a community is self-moderating and there is no need for a CM to jump in. The quiet approach is sometimes the best. An introvert’s perceived intensity and tendency to over-think things translates well into community management, as they carefully assess many possible outcomes before selecting the most appropriate option. Missteps in community management can be very harmful to brands, so this sort of foresight, delicate handling and problem-solving is a great asset. Looking for a challenge to help your community? Take our Free 5 Day Community Challenge here. If you’re part of a dispersed team or are taking on after-hours shifts where you may be the only person awake, this requires a degree of self-sufficiency. If you’re a person who prefers to work alone anyway, as many introverts are, working through problems on your own comes naturally. Of course, the support of a team is still wonderful when sticky situations do arise and you’ve gone as far as you can alone. Knowing when to ask for help is key! 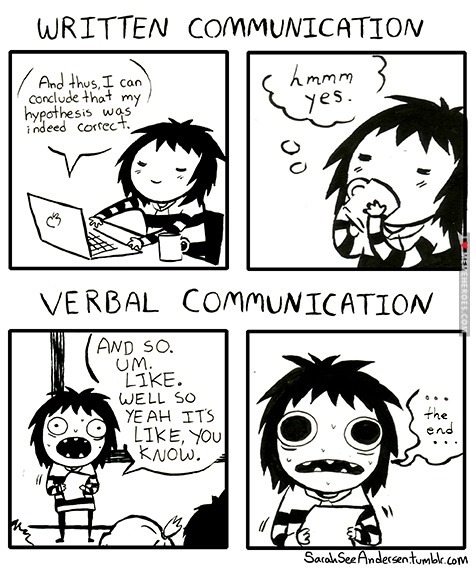 Whereas extrovert’s communication skills really shine in person, written communication is where introverts thrive. Their best ideas might come after the brainstorm, and networking might not be their strong point, but when it comes to talking to people on the internet the introvert is in their element. In writing, introverts can fully form their ideas, sufficiently research, and exercise their creativity and humour – all from safely behind their computer, intimidation-free. So, where do you fall on the spectrum: introvert, extrovert or ambivert?